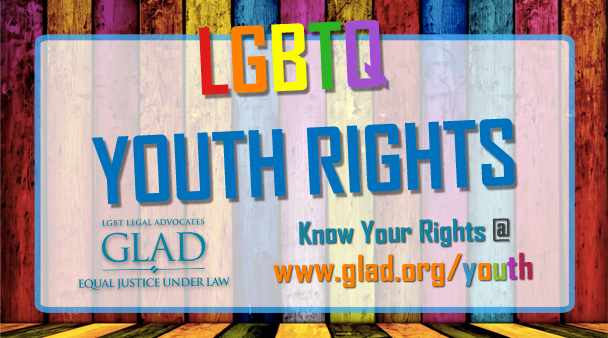 Often when people think about the hardships of LGBTQ youth it is in relation to school-discrimination in classrooms, social events, bullying, and more. LGBTQ youth are disproportionately represented in the child welfare system, too. As always, please contact us at GLADAnswers.org if you find that your rights are not being respected. GLAD will do what we can to get you the resources that you need in order to combat discrimination.